Ketamine secured for medical and veterinary use! On Friday 13th March, the Commision on Narcotic Drugs discussed the possible bringing of ketamine under international drug control. Initially, China proposed to add the substance under Schedule I of the UN Convention on Psychotropic Substances. Such a scheduling means that the substance can be used for medical purposes only under direct governmental supervision, and in very limited situations. The proposal was very inappropriate for an essential medicine. However, thanks to the efforts of many, China amended its proposal to the less strict Schedule IV of the same convention. Again we opposed this and thanks to our opposition, China withdrew this morning its entire proposal. The CND then decided to postpone its decision on scheduling ketamine to a future date to allow more information to be gathered. A transcript of the debate is available on the CND Blog. This is a very good result and I want to thank everyone who was involved in the lobbying to keep access to ketamine as a human and veterinary medicine for his or her efforts. In the end we had 87 endorsements on the fact sheet and several organizations came to Vienna to convince the delegates personally. Many went to their governments to convince the ministries of health and the drug controllers that any scheduling of ketamine was not a good idea. Over the past few weeks it became more and more clear that we were successful, and many countries declared that they would oppose the scheduling. Initially, we were able to find over 19 CND members opposing schedule IV, and once we had these, we continued to convince more CND Member countries to oppose all scheduling. This became clear only gradually toward last weekend. In my messages you may have seen the countries I recommended to focus your lobby on. On purpose we decided not to be transparent on the countries we had convinced. I hope for your understanding, as such transparency would have made it easy for China to lobby these countries back into its camp. During the week at the CND (which started last Monday), we discussed with country delegations the possible ways forward, being afraid of unwanted precedents in the procedure. But finally today, it happened as some had predicted: China withdraw its proposal while saving face by saying that this allows for more data collection. How serious this “more data collection” is, is in this stage not completely sure. It may be that we never hear back about ketamine scheduling, but some vigilance is needed in the coming years. What further to do? There are over 50 countries who have scheduled ketamine in their national legislation (i.e. independent form the international drug control conventions). In several of these countries, veterinarians and physicians may have experienced reduced availability of ketamine already. They and their organizations may want to discuss the issue now with their governments in order to re-increase availability. Because of this CND and Chinas proposal, the climate may have changed now. After some of the preparatory meetings, someone mentioned that this was the first time ever that the countries at the CND discussed medicines availability for over three hours. Never before there was such a focus at the internaitonal levle on the relation between drug control and medicines availability. Therefore, this is the moment that most drug controllers around the world are seeing that drug control has also the negative side for public health of medicines unavailability. Medical and veterinary organizations may also want to use the opportunity for discussing the availability of medicines controlled as drugs more in a general way, e.g. the availability of opioid analgesics, long-acting opioids for the treatment of opioid dependence, phenobarbital and other controlled medicines. For those who want to take action in this regard, I also refer to the WHO Guidelines on this issue, available in multiple languages, including English, French and Spanish. This entry was posted in Uncategorized on March 23, 2015 by Vicky Lewis. The United Nations Development Programme (UNDP), the UN agency charged with developing strategies to reduce global poverty, has strongly criticised current international drug policy, highlighting the disastrous costs it is producing – particularly for the world’s poor. "While drug control policies have been justified by the real and potential harms associated with illicit drug production, trafficking, and use (e.g., threats to safety and security, health problems, crime, decreased productivity, unemployment, and poverty), evidence shows that in many countries, policies and related enforcement activities focused on reducing supply and demand have had little effect in eradicating production or problematic drug use." "As various UN organizations have observed, these efforts have had harmful collateral consequences: creating a criminal black market; fuelling corruption, violence, and instability; threatening public health and safety; generating large-scale human rights abuses, including abusive and inhumane punishments; and discrimination and marginalization of people who use drugs, indigenous peoples, women, and youth". With regard to the harmful impacts on international development specifically, the UNDP states that international drug policy is having a negative effect on “poverty and sustainable livelihoods; governance and the rule of law; human rights; gender equality; the environment; and on indigenous peoples and traditional and religious practices.” Detailed sections on each of these topic areas follow in the body of the report. This entry was posted in Uncategorized on March 19, 2015 by Vicky Lewis. Psychoactive substances or ‘drugs’, often associated with recreational use, are in fact commonly used for a variety of medicinal purposes. It is even less understood that the supply of more than 100 of these drugs is regulated by a complex system of international drug control underpinned by three United Nations treaties with near universal ratification. This post explores the relationship of drugs and international law, specifically international drug control law and international human rights law, using the topical example of placing ketamine under international control. The legal framework of international drug control is shaped by three treaties: the 1961 Single Convention on Narcotic Drugs (as amended by the 1972 Protocol), the 1971 Convention on Psychotropic Substances, and the 1988 Convention against the Illicit Traffic in Narcotic or Psychotropic Substances. Scheduling is the process established by the treaties to bring certain psychoactive substances under a graded scale of international control. Scheduling a substance creates positive obligations for States to implement regulatory processes that meet or exceed requirements established by the treaties. In some overburdened health systems, this can lead to over-restrictive controls that inhibit medical access to essential drugs, well documented in the case of opioid analgesics. Ketamine’s unique properties make it one of the most important and widely used drugsin emergency and surgical medicine globally. Where most anaesthetics require electricity for ventilators and gas masks, ketamine—an injectable anaesthetic—can be safely administered in settings without regular access to power, for example, war zones or impoverished rural areas. The analgesic properties of ketamine make its use during emergency surgery, such as for caesarean sections, indispensible for improving mortality outcomes in less-developed countries throughout the Global South. It is because of these properties that the World Health Organisation (WHO) placed ketamine on its list of essential medicines for both children and adults. 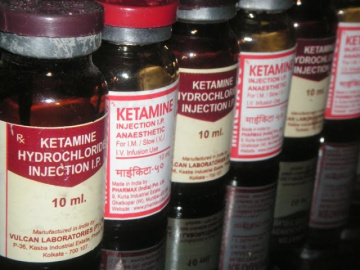 Outside of clinical settings, ketamine is used recreationally, although such use is mainly in more developed countries. China, in particular, views the illicit production of ketamine as an “increasingly serious” domestic issue and has repeatedly requested the substance be subject to international control. It is with this direction from China, that ketamine has made its foray onto the international legal stage. Established in 1946 by ECOSOC, the Commission on Narcotic Drugs (CND) serves as the principal policy-making body of the UN drug control system and under the three drug control treaties, it is mandated to oversee the scheduling system. China is currently one of 53 members of the CND, and is authorised under the treaties—in the case of ketamine, the 1971 Convention on Psychotropic Substances—to introduce substances of concern for scheduling consideration. Procedurally, article 2 of the 1971 Convention requires the CND to submit scheduling recommendations to the World Health Organisation (WHO) for an evidence-based review to determine if the substance meets the criteria elaborated under article 2(4) to require scheduling (or not) and its degree of restriction under the graded scheduling system. Under article 2(5) of the 1971 Convention, the WHO’s recommendations are “determinative” when it comes to the “medical and scientific” basis for adding substances to a schedule. This is not the first time China has requested ketamine be scheduled. The WHO’s review this year and each time before (see here and here) determined the public health risks associated with recreational use did not merit any measure of scheduling. The conclusive nature of this recommendation under the 1971 Convention has been subject to much interpretative debate. The current prevailing interpretation has placed the status of such a recommendation within broader considerations such as “economic, social, legal, [and] administrative” factors listed in article 2(5). What this interpretation signals is that despite WHO’s determinative assessment that ketamine does not meet the criteria for scheduling under article 2(4), its scheduling may now be subject to a purely political process (a two-thirds vote by the CND would place ketamine under international control). The impact the control of ketamine has upon human rights is a critical consideration. While human rights are not explicitly mentioned in the 1971 Convention, they are contained within the meaning of “legal” considerations as written in article 2(5), which States must take into account when deciding to add a substance to a schedule. As mentioned previously, scheduling a substance creates regulatory barriers that have made essential medicines completely inaccessible for those most in need. These barriers result in on-going violations of human rights—most notably the right to health. The normative scope and content of the right is contained within article 12 of the International Covenant on Economic, Social and Cultural Rights (ICESCR) and imposes upon States core obligations to be given immediate effect. General Comment 14 on the right to health elaborates further that amongst this minimum core is the obligation to provide medicines as indicated on the WHO’s essential medicines list. As such, ensuring ketamine is available, accessible, acceptable, and of sufficient quality forms part of a State’s core right to health obligations. Should ketamine fall under the scope of international control, any restrictive measures a State subsequently imposes cannot interfere with current levels of access. The imposition of international control requirements would in many States, restrict current levels of access to ketamine and amount to a deliberate retrogressive action in violation of the right to health. This is relevant to any scheduling level under the 1971 Convention. While Schedule 1 imposes the most restrictive control measures, States can apply equally or more restrictive measures for any schedule level under article 23. As such, the same human rights assessment would apply as States with less complex regulatory systems often lump controls into one or two highly restrictive categories—see the example of phenobarbital, a Schedule 4 drug under the 1971 Convention. As the vote fast approaches, a human rights framework offers States a powerfulnormative counterweight to the political pressure they face to place ketamine—an essential, life-saving medicine—under unnecessary international control. Visit the International Centre on Human Rights and Drug Policy for more resources. Daily updates from the CND can be found here. This entry was posted in international drug policy, US drug policy on March 16, 2015 by Vicky Lewis. The Commission on Narcotic Drugs (CND) in Vienna will decide next week between two opposite proposals by China and the WHO about international control ofketamine, an essential anaesthetic in human and veterinary medicine. China originally proposed bringing ketamine under the 1971 Convention’s most severe control regime of Schedule I, which would dramatically affect its availability for surgery in poor rural settings and emergency situations. The WHO Expert Committee reviewed all the evidence and advised against any international control of ketamine, arguing it would trigger a public health disaster. A fact sheet produced by concerned NGOs, TNI among them, has received endorsements from over 80 organisations around the world, including many medical associations of anaesthesiologists and palliative care. The International Federation of Red Cross and Red Crescent Societies came out with its own statement of concern. At intersessional CND meetings past weeks in Vienna, several countries expressed their worry about the Chinese proposal and questioned the procedural legality of bringing it to a vote, now that the WHO has strongly recommended against it. Confronted with broad opposition, China changed it proposal and now calls for inclusion in Schedule IV instead, the lightest control regime under the 1971 Convention. The move is meant to soothe concerns and apparently several countries that opposed China’s original proposal are considering the softer option as an acceptable compromise. Adding ketamine to Schedule IV, however, would still negatively impact on its availability in a number of countries, less severely so when compared to Schedule I, but millions of people would still be at risk of not having access to anaesthesia if they require surgery (seeextended fact sheet). Moreover, too little attention has been given in the debate so far to the potential consequences for future scheduling decisions, as this would set a precedent to add substances to the treaty schedules bypassing WHO’s expert advice. In response to questions raised about the procedure, UNODC asked the UN Office of Legal Affairs (OLA) in New York for a legal opinion about the basic question: “Can the Commission on Narcotic Drugs schedule a substance under the Convention on Psychotropic Substances of 1971 if there is a recommendation from the World Health Organization that the substance should not be placed under international control?”. Unfortunately, under time pressure, OLA produced an unhelpful, confusing and questionable legal argumentation concluding that “the Commission can schedule a substance under the Convention on Psychotropic Substances even if there is a recommendation from WHO that the substance should not be placed under international control” (E/CN.7/2015/14). The 1971 treaty – as explained in detail in its Commentary – established a threshold for substances to be eligible for international control, which requires a careful weighing of their addictive and harmful properties against their medicinal usefulness. The review of the WHO Expert Committee on Drug Dependence is “determinative” regarding medical and scientific matters whether or not a substance meets that threshold. Once the WHO has determined that a substance meets those minimum criteria warranting international control, the CND can discuss the WHO recommendation and consider additional arguments (“economic, social, legal, administrative and other factors it may consider relevant”) to either adopt, reject or deviate from the choice for the particular Schedule recommended by the WHO. As spelled out in the Commentary on the 1971 Convention, if the WHO “recommends in its communication to the Commission that the substance should not be controlled, the Commission would not be authorized to place it under control” (§ 22, p. 71). Clear and simple, it seems, but apparently not for the Office on Legal Affairs. In its legal opinion, OLA acknowledges that “WHO assessments are determinative as to medical and scientific matters of a substance,” but then continues saying: “but the ultimate authority to decide whether the substance should be added in a Schedule rests with the Commission. In doing so, the Commission is required to take into account factors broader than medical and scientific factors.” The CND “is expected to take a broader perspective, and is required to take into account all relevant factors to reach a conclusion.” On those grounds OLA then reaches its controversial conclusion quoted above, contradicting the official Commentary, and clearing the path – though the OLA advice is not binding in any way – for bringing China’s proposal for scheduling to a CND vote next week. Two-thirds of the 53 CND Member States would need to vote in favour to adopt it, in other words if 18 countries vote against it or abstain from voting the proposal would be rejected. Following OLA’s treaty interpretation means that the other factors that the CND needs to consider (economic, social, legal, administrative) may provide sufficient reason for adding a substance to a treaty schedule, including if the substance does not meet the required threshold of dependence-producing and harmful properties. The OLA opinion confuses the clear intention of the treaty to establish a minimum threshold to be determined on the basis of medical/scientific evidence by the WHO, with the subsequent discretion of the CND to deviate from WHO’s specific recommendation about which schedule would be most appropriate, after taking into consideration other factors. It is difficult to understand how OLA arrived at such a fundamentally flawed judgement. In one of the previous cases the OLA refers to, arguments were raised in the procedure that could in fact be relevant for the current situation. In short, Spain, worried over the amount of new psychoactive substances appearing on the market, tabled in 1999 a proposal to add all isomers, esters and ethers of substances already on Schedule I or II, placing all such chemically similar substances under the same control. The WHO reviewed the Spanish proposal, and recommended instead to only add substances falling under the much narrower definition of “stereoisomers” and only for Schedule I. The CND adopted by vote the WHO recommendation, and according to the OLA document “there is no record of any action taken with respect to the substances to which WHO objected”. And indeed, correctly following treaty procedures no vote was taken on the Spanish proposal because that included a much broader range of substances that the WHO had not recommended for international control. As the OLA opinion confirms (in spite of its confused wording), there is not a single precedent in the history of scheduling decisions under the 1971 Convention where the CND decided to schedule a substance that had not been recommended for scheduling by the WHO. If the CND would decide to vote on the Chinese proposal to schedule ketamine, despite the fact that the WHO has already determined three times that it does not meet the threshold criteria for international control, it would therefore set a very worrying precedent. It effectively means the removal of the medical/scientific threshold for international control and abolishing the determinative nature of the mandate given to the WHO. The consequence of that for the future would be that any CND Member State from now on can call for a vote to put any substance on whatever schedule of the 1971 Convention (under the 1961 Convention this would be unthinkable), regardless of the opinion of the WHO Expert Committee. Tramadol and khat would be likely candidates to become scheduled in the coming years in a similar way, using the ketamine precedent to justify neglecting WHO’s expert advice again. This entry was posted in international drug policy, US drug policy on March 8, 2015 by Vicky Lewis. In early January around 2,000 members of Argentina’s military-style border force – known as the gendarmeria – left the country’s second city of Rosario. They had arrived 9 months earlier, on April 9th, carried clandestinely into the city as part of an elaborate rouse involving a fake climate change conference. In a surprise display of force the local press justifiably described as “cinematic”, six helicopters hovered above while more than 80 raids were launched on known ‘bunkers’, the one room buildings that serve as illicit drug dispensers and are almost wholly located in the villas, the poor neighbourhoods that form a loose rim around the city centre. At the forefront of proceedings was the National Security Secretary, Segio Berni. “This was the largest operation in the history of Argentina, with the objective of pacifying the area of Rosario,” he told the press. Since 2012 drug trafficking and violence have become issues of public debate in the city. The violence and the trafficking had been going on in isolation in the villas, separate from the affluent heart of the city, but the issue was forced into the public eye and onto the political agenda thanks to the dedicated work of the activist organisation Frente Popular Dario Santillan after three of its members were killed on New Year’s Day 2012 by a local drug gang who mistook them for rivals. Since a spike in mid-2010, violence has been spiralling upwards. The city’s homicide rate is now the highest in the country. Overwhelmingly, the victims are young men and boys; confrontations between rival gangs involved in the drug trade – generally small outfits, and often family-run – are considered to be behind a sizeable proportion of the deaths. In response, “insecurity” has become the buzzword among politicians and the media. It’s election time here at the moment and the posters blanketing every advertising space promise to combat insecurity, to bring back security, to make Rosario normal again. Official mentions of the root causes – poverty, exclusion, corruption – are rare. Policies designed to address them are even rarer. (I know an activist group that struggled for a year and a half just to have lights put above a football pitch so the kids in one villa could have something to do in the evenings.) The growing use of Argentina as a transit point for cocaine headed to Europe has increased the stakes and likely contributed to the violence, as have a provincial police force heavily involved in the trade and the lacklustre efforts of the judiciary and the government. But in the public mind, and according to government policy, the embodiment of insecurity, the cause and the consequence, is a drugged-up 16 year old with a gun (a forthcoming GDPO Situation Analysis will discuss the treatment of children here involved in the trade). “What these kids need,” local journalist, author, and political candidate Carlos del Frade told me, “is education, sport, art, activities. They don’t need the gendarmeria in the neighbourhood.” But that’s what they got. It was something of an omen of things to come that while the mega-operation of April 9th looked impressive, the haul that day – 25 low-level actors involved in small-scale selling, “three guns, a couple of thousand dollars and some drugs”, quoting the former governor of the province – was less so. The gendarmeria continued the established trend of pursuing the lowest and most visible link in the trafficking chain. Over their 9 month stay they did reduce violence in certain areas of the city; when they were replaced by the provincial police, shootings resumed. Their presence also resembled an occupation and abuses were reported. A university study of one area found selling alcohol was not permitted after 10pm, shopping receipts needed to be kept at hand to show proof of purchase, youngsters were detained arbitrarily and prevented from gathering outside, and people riding motorbikes were constantly stopped and searched. Drug traffickers, local sources suggest, responded by selling more at night, and switching from ‘retail’ selling to ‘delivery’ – a text message is sent and a motorbike appears with the goods. After the bandage was ripped off in January the blood began flowing again – as would be expected. Party politics is central to all this. When the gendarmeria were withdrawn, Berni, of the ruling Frente Para la Victoria party, could not resist using the opportunity to fire some parting shots at the Socialists who govern Rosario and Santa Fe. The Socialists blame the national government for not sealing up the borders and not acting on drug trafficking, which is a federal, not provincial crime. The national government blame local corruption. Both have a case. Berni rightly took some flak for politicising the issue, but this was merely an open recognition of what previous actions have made clear. Even major operations are largely reactive and serve to score political points: when the provincial government were impelled to move on the city’s biggest drugs gang two years ago, the national government sent their forces into the province to capture a powerful drug trafficker – “I’m caught in the middle of a political war”, he somewhat justifiably told the press. Nice rhetoric aside, the national government, which has sworn not to follow a War on Drugs approach, has done exactly that with the sending of the gendarmeria. For now there are few signs things will improve. Post-gendarmeria, the public debate is focused on the narrow question of whether they should come back or not; the governor of the province, Antonio Bonafatti, is adamant they return. The national government seems to be enjoying watching their provincial rivals suffer. Not enough is being done or said, on a national or provincial level, about the conditions behind the violence and trafficking – present in many cities across the country – or about the corruption in the police, the judiciary and the government; some local experts are incensed the provincial government didn’t use the breathing space provided by the national forces to overhaul the notoriously corrupt police force. The short term seems to be the sole consideration for parties focused on upcoming elections. “The long term exists only for theoretical dalliances,” remarked a local columnist while discussing the dominance of the “security” issue within local political campaigns. But serious, sustained programs designed to address deep-rooted issues are imperative if the many youngsters growing up in the villas who feel helpless and excluded and angry, who have lost a sense of value for life, are to have a better future than the one offered to them today. Youngsters like 23 year old Pablo Martinez, who died this February while playing russian roulette. This entry was posted in Uncategorized on February 26, 2015 by Vicky Lewis. The 58th Session of the UN Commission on Narcotic Drugs (CND) in March 2015 has been asked to consider a Chinese proposal to place ketamine – an essential medicine used for anaesthesia – in Schedule I of the 1971 Convention (E/CN.7/2015/7 and E/CN.7/2015/81). Ketamine is the only available anaesthetic for essential surgery in most rural areas of developing countries, home to more than 2 billion of the world’s people. Scheduling ketamine under any of the 1971 treaty schedules will reduce its availability and further deepen the already acute crisis of global surgery. The WHO has strongly and repeatedly recommended against international control, warning it would constitute a public health crisis in countries where no alternatives are available. The CND is taking place in Vienna on 9-17 March 2015. The Secretariat does not point out the obvious contradiction with the WHO recommendation (which is only included in the note as an annex) and the procedural limitations the WHO conclusion places on the nature of the decision the CND can make. Instead, the issue is presented under the title “Consideration of a notification from China concerning the proposed recommendation for international control of ketamine under the Convention on Psychotropic Substances of 1971” and the note implies that the normal action to take would be to call for a vote. The WHO recommendation not to place ketamine under international control is only included as an annex. Both the UNODC website text and the note by the secretariat give the misleading impression that the CND has full discretion to decide against the WHO recommendation and that the procedurally normal course of action would be for CND Member States to vote on the Chinese proposal. Under the terms of the 1971 Convention, as clearly explained in the Commentary, neither is correct. While the CND does have more discretionary powers in scheduling decisions under the 1971 Convention compared to the 1961 Single Convention, there are clearly established restrictions how far a CND decision can deviate from the WHO recommendations. Those restrictions fully apply in the case of ketamine and exclude the option for the CND to place ketamine under international control. The WHO review outcomes have rendered the Chinese proposal for scheduling invalid under the terms of the 1971 Convention. The importance of following the proper procedure of scheduling in the international drug control system goes much further than the urgency right now to prevent the public health disaster that would be triggered by scheduling ketamine. Allowing this procedure to proceed unquestioned would set a dangerous precedent for scheduling other substances such astramadol and khat in the future in a similar way bypassing WHO advice. It would once again marginalize the role of the WHO in the UN drug control system and undermine the specific treaty mandate given to the WHO Expert Committee to provide an evidence base to scheduling decisions. It would be yet another example that the original treaty balance between assuring adequate access of controlled substances for medicinal purposes while preventing diversion and abuse, has been lost. It is also a good litmus test for the welcome but often vague discourse of shifting towards a health and human rights-based drug control approach. Keeping ketamine out of the treaty schedules is a good example of what taking that discourse serious means in practice. Scheduling procedures, UNODC web page (visited 8 February 2015), first paragraph 11 (there are two). Article 2(4)-2(6), 1971 Convention. See also the Commentary on the Convention on Psychotropic Substances , pp. 45-72.
 WHO Expert Committee on Drug Dependence: thirty-sixth report, WHO technical report series no. 991, 2015, p. 45. E/CN.7/2015/7, Changes in the scope of control of substances, Note by the Secretariat, p. 10. This entry was posted in international drug policy, US drug policy on February 20, 2015 by Vicky Lewis. As noted in the 2014 TNI – IDPC report Scheduling in the international drug control system, although often viewed as an obscure technical issue, the problem of scheduling lies at the core of the functioning of the international drug control system. Scheduling – the classification of a substance within a graded system of controls and restrictions, or ‘schedules’ – must take place in order for a substance to be included in the international control framework, and determines the type and intensity of controls to be applied. For this reason, the topic is of central importance. Within this context, recent years have seen ketamine become an increasing point of contention. Concerned by ‘recreational use’, some states, China key among them, have been pushing for international control of the drug. This goes against repeated recommendations from the WHO, the body responsible for providing expert guidance on scheduling decisions within the UN Commission on Narcotic Drugs (CND). As the WHO points out, while some non-medical use certainly takes place within some parts of the world, international scheduling would likely have damaging consequences on medical access to the drug (a WHO listed essential medicine) in developing countries. Here it is the only available anaesthetic for essential surgery in most rural areas. This Fact Sheet on the Proposal to Discuss International Scheduling of Ketamine at the 58th CND – endorsed by a wide range of civil society organisations, including the GDPO – provides background on the issue and explains why international scheduling would go against all the scientific evidence on the issue, be procedurally unsound and generate considerable negative public health impacts in parts of the world where there is already an acute crisis in essential surgery. This entry was posted in international drug policy, modernizing drug law enforcement, Uncategorized on January 29, 2015 by Vicky Lewis. Has the US just called for unilateral interpretation of multilateral obligations? These are interesting times for drug law reform, which, as it gathers pace, is asking important questions of international law. A UN General Assembly Special Session on Drugs is set for 2016just as national reforms are challenging international treaties that form the bedrock of a global prohibition regime that has dominated since the turn of the twentieth century. States parties to the three UN drug control conventions must now confront the legal and political dilemmas this creates. This is the situation in which the US now finds itself following cannabis reforms in various states that are at odds with these treaties. The State Department has issued its official position in this regard, one that stretches and boundaries of interpretation and raises other serious questions for international law. Respect the integrity of the existing UN drug control conventions. Accept flexible interpretation of those conventions. Tolerate different national drug policies…[and] accept the fact that some countries will have very strict drug approaches; other countries will legalise entire categories of drugs. Internationally, the four pillars have emerged in the context of efforts, led primarily by Latin American States, to open discussions on the future of the international drug control regime, and look at alternatives to the current and destructive prohibitionist paradigm. Domestically, it comes in the context of successful referenda to legally regulate cannabis in several US states. Both of these are welcome developments. The international drug regime is long overdue for reform, and the cannabis referenda will produce many positive criminal justice, health and social outcomes in those US states adopting them. However, domestic cannabis law reform places the United States in a compromised position within the coming debates on the future shape of the international drug control regime. By permitting legal markets in recreational cannabis, the United States is in breach of both the 1961 Single Convention on Narcotic Drugs and the 1988 Convention on Illicit Traffic in Narcotic Drugs and Psychotropic Substances. This is an awkward position for the US, which for over 100 years has been both the driving force behind the international drug control regime, as well the regime’s de facto policeman. Admitting the breach threatens both a system the US wishes to protect, as well as its own influential role within it. Rectifying the breach domestically requires trampling on State-level democratic ballot initiatives. To its credit the Obama Administration has said via a memorandum from Deputy Attorney General James Cole it will respect and not interfere with the outcomes of those referenda. [I]f it is a living document and they are living documents [the UN drug control conventions], living means you are allowed to adjust your interpretation as the world changes around you, the world in 1961 was a different place from the world in 2014 and we the governments and members states of the UN system should be permitted to interpret with that degree of flexibility as we move in to the 21st century. Using the language of treaties as living documents – more commonly known as dynamic or evolutive interpretation – Brownfield attempts to paint cannabis legalisation in the US as something other than the breach it obviously is, in the process raising a number of international legal concerns. Dynamic interpretation is well established in international human rights law, particularly the jurisprudence of the European Court of Human Rights. But, as described by the International Law Commission in 2006, it is an approach ‘much more deeply embedded in human rights law than in general international law’, suggesting that its application in the context of international drug control law must be considered cautiously. This is not to suggest that dynamic interpretation is not evident in other regimes, and it indeed has been used by the International Court of Justice, the European Court of Justice and the Appellate Body of the World Trade Organization in various cases. The drug treaties are suppression conventions. They form part of the body of transnational criminal law, not international human rights law. However, we accept that, for a variety of reasons it is legitimate to apply a dynamic interpretive approach to elements of international drug control law, particularly where drug control engages human rights. However, there are clear problems with the US’s use of this approach. The first is the limits of interpretation itself. The classic approach to dynamic interpretation, as established by the European Court in Tyrer v UK, is a process of broadening or expanding the understanding of an obligation based upon changes in law, evolving social norms or widespread change in State practice. In other words, understanding treaty language in a modern context. There are various examples of this in practice from differing legal regimes. However, Brownfield suggests that the ‘living’ nature of the drug treaties means that an obligation can legitimately evolve to the point of meaning the exact opposite of what it states, and that somehow the non-medical, non-scientific use of cannabis has evolved from being illegal in international law to being legal. This is an absurdity. The treaties already include a mechanism for the status of individual drugs to change or evolve, and for individual substances can be included in, or removed from, international control with approval of the UN Commission on Narcotic Drugs, a process known as ‘rescheduling’. The Brownfield approach circumvents this, for the obvious reason that such a resolution would never make it through the Commission, and instead posits the ‘living instrument’ idea as the alternative. However, for this outcome to be legally valid without cannabis being rescheduled, dynamic interpretation would need to alter the understanding of what the term ‘medical and scientific use’ means within the conventions, the only circumstance within the current international regime under which cannabis, and all controlled substances, may be legally manufactured, accessed and used. But Brownfield does not suggest this, for if he did then this evolved understanding of medical and scientific use could reasonably be applied to all drugs under international control, making legal recreational access to all controlled drugs part of the new ‘living’ drug regime. This is clearly a bridge too far for the US. The second problem is one of interpretive forum. Dynamic interpretation is a judicial approach, utilised by judges or adjudication bodies to balance competing or conflicting interests in arriving at a decision. It is an approach employed by a neutral arbiter to dispute resolution, not a doctrine for States to use to unilaterally change the nature and scope of their own treaty obligations. Indeed, if we are to pursue an evolutive approach, then we also need to look at broader State practice. You can easily count on the fingers one hand the number of countries with a legalised recreational cannabis market, so this approach has clearly not evolved to an extent where legal regulation of the substances within the treaties would be permissible. Even then it is stretching any reasonable interpretation to reverse what the law in fact says. But in any case Brownfield does not suggest that we look to evolving State practice. The four pillars suggest, quite clearly, the acceptance of divergent unilateral interpretations. Whatever one thinks of the drugs treaties, such an approach creates an international minefield. Imagine an international legal order in which individual States are allowed to decide for themselves which treaty obligations apply to them, and in what way. Here, however, we come to the third major problem, which is that the flexibility the US seeks for itself may not extend to others at all. We have both argued separately that this new US position has little to do with treaty compliance, and is really about maintaining its own central role as global arbiter of drug control, a position which it uses to great influence internationally. Surprisingly, US drug czar Michael Botticelli recently admitted as much in his Senate confirmation hearings, stating that ‘[t]he Four Pillar framework is an effort to stake out a middle ground between those who believe that prosecution and jail is the only approach and those favoring radical changes to the conventions’. In effect, the US denial of its own treaty breach allows it to sit in judgement over the drug reform actions of other States, comfortable in its self appointed role of neutral ‘middle man’ or ‘referee’ of acceptable treaty flexibility, and therefore protecting its own national interests against any ‘radical changes to the conventions’, apart from its own. To be clear, our concern is not about compliance with bad laws, which these treaties surely are. Our concern is with the potential implications of the State Department’s argumentation. The failed, punitive prohibitionist approach of the international drug control regime must end. It is a regime that causes untold human and societal damage across the globe, and change to this regime is slow yet becoming more inevitable. However, it would be unfortunate to see established rules of international law become collateral damage in the fallout of the end of the war on drugs. This entry was posted in cannabis, UNGASS2016, US drug policy, US marijuana policy on December 19, 2014 by Vicky Lewis. State-level cannabis reforms, which gathered steam this month, have exposed the inability of the United States to abide by the terms of the legal bedrock of the global drug control system; the 1961 Single Convention on Narcotic Drugs. This is something that should force a much-needed conversation about reform to long-standing international agreements. But while ostensibly ‘welcoming’ the international drug policy reform debate, it is a conversation the US federal government actually wishes to avoid. The result is a new official position on the UN drugs treaties that, despite its seductively progressive tone, serves only to sustain the status quo and may cause damage beyond drug policy. The 1961 Single Convention has been massively influential. Almost every state in the world is bound to prohibit cultivation, trade and possession of cannabis and a range of other substances such as coca and opium for anything but medical and scientific purposes. Wherever you are, your drugs laws are probably modeled on this agreement. The United States has been a staunch defender of this legal regime. The treaties are central to its foreign policy on drugs, including in Latin America. But at home the government has been clear that it will not trample on the will of voters with regard to cannabis, even though this places it in breach of the 1961 Convention. So the US faces a predicament; a treaty breach it does not wish to admit within a system it wishes to protect. Brownfield’s statement received some positive responses, welcoming it as a breakthrough in drug policy reform. However, its attractiveness is superficial and there are important reasons to be cautious. For US foreign policy on drugs the four pillars make sense in the short term. Through these pillars, the US can appear to embrace reform discussions while changing nothing of substance. US approaches to Latin America that have dominated US attentions can carry on as before. The US gets to continue to have presence in places it has no business being other than to fight the drug trade – the fourth pillar of this ‘new’ approach. In addition, in defending the ‘integrity of the treaties’, the US can go on using those treaties as a disciplinary tool against producer and transit nations in the region. Under the Foreign Relations Authorization Act, when a country does not fulfill the requirements of the international drugs conventions, the President determines that the country has ‘failed demonstrably’ to meet its obligations, which can lead to sanctions. Bolivia received such a determination again only a few weeks ago. While explaining the rationale for a more ‘flexible interpretation’ Brownfield said, ‘Things have changed since 1961‘. However, the Presidential Determination on Bolivia stressed that the ‘frameworks established by the U.N. conventions are as applicable to the contemporary world as when they were negotiated and signed by the vast majority of U.N. member states‘. The determination further expressed the US government’s concern that Bolivia tries ‘to limit, redefine, and circumvent the scope and control‘ for coca under the 1961 Convention, even though that is precisely what the US is doing in the case of cannabis. The US also objected to Bolivia’s efforts to have traditional uses of coca removed from international control because it challenged the ‘integrity of the treaties’ – the very first pillar above. So which countries’ reforms or interpretations will be deemed tolerable, and which will threaten the integrity of the treaties? Crucially, who decides? It is clear that a legally regulated market in cannabis is not permissible under the 1961 Single Convention. To deal with this the US, in the second pillar above, has signalled its acceptance of unilateral interpretation of multilateral agreements beyond what those agreements allow for. That is a very serious call beyond cannabis and beyond drug policies. The attempt under the Bush administration to argue that waterboardingwas not a breach of the UN Convention Against Torture and that detainees in the war on terror were not covered by the Geneva Conventions should caution against allowing this kind of unilateral approach. In reality, beyond the progressive sounding words, the path the Brownfield doctrine set out leads to further US exceptionalism and the ongoing use of the treaties as it sees fit. But that exceptionalism cuts both ways, and the US has also vital interests, including national security, in holding states to international and bilateral treaty obligations. A recent example demonstrates the risks of failing to take this into account. In July, the US issued a determination that Russia was in violation of obligations of the Inter-Range Nuclear Forces Treaty (INF), a bilateral agreement banning the testing of ballistic missiles of a certain range. But if a ‘flexible’, a-la-carte approach is to be permissible under the drug control regime when it suits the US, why should that not apply here? Why not other important international agreements that matter to so many such asenvironmental protocols setting specific targets, or human rights law and its vital protections? Following the second pillar to the extent the US suggests is a very slippery slope. The shift to regulated cannabis markets in the US should open the space for a much-needed discussion of treaty reform. The problem at hand is not the treaty breach by the US; the problem is the drug control treaty system itself. Preparations have started for a UN summit on drugs in 2016, the first in almost twenty years, and where a conversation about treaty reform should begin. The Brownfield doctrine is part of US efforts to keep it off the agenda. For governments, in an effort to avoid political controversy, the four pillars may seem attractive. For those who support drug policy reform they may seem progressive. But this is no win for drug policy reform or progress towards policies grounded in evidence and human rights. To allow the US, for its own ends, to lead us into a politically calculated theatre of adherence simply serves to sustain a regime that is no longer fit for purpose. It is also harmful for the integrity of international law more broadly, from human rights, to security to the environment. The price of allowing the US to avoid its breach of the 1961 Convention, in other words, is too high. And the war on drugs has already cost too much. This entry was posted in cannabis, international drug policy, marijuana policy, US drug policy, US marijuana policy on November 18, 2014 by Vicky Lewis. The World Ayahuasca Conference (AYA2014), held in Ibiza on September 25th-27th and organized by the ICEERS Foundation gathered more than six hundred professionals and non-professionals with an interest in this psychoactive Amazonian beverage, coming from nearly 60 different countries: shamans, psychologists and therapists, anthropologists, lawyers, doctors, drug policy experts and even some government representatives shared and enjoyed, in the symbolic and privileged environment of this Spanish island, workshops, book presentations, film screenings and conferences of the most prominent experts in the field such as Jonathan Ott, Dennis McKenna, Claudio Naranjo or Bia Labate, naming just a few of the 100 international experts that participated for this event. 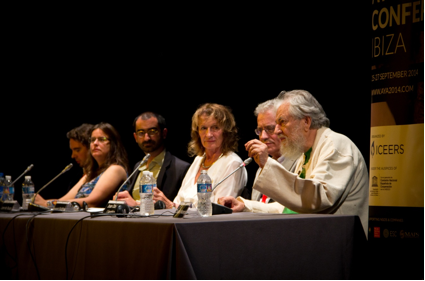 Renowned personalities from the drug policy arena such as Ethan Nadelmann, Amanda Fielding, Pien Metaal, Rick Doblin or Kasia Malinowska-Sempruch and many drug policy researchers and activists also attended, turning AYA2014 into a pivotal moment in the history of ayahuasca in the broader drug policy context. Benjamin de Loenen, Bia Labate, Leon Garcia, Amanda Fielding, Joan Obiols and Claudio Naranjo. For hundreds of years, Amazonian indigenous societies have been using ayahuasca to facilitate the physical and psychological health of the individual as well as the community. However, Western societies are in general repressive and intolerant towards the potential of plants with psychoactive properties, mistakenly interpreting their use as destructive and addictive, even though they are increasingly being recognized for their potential role in psychotherapeutic processes and the improvement of interpersonal relations. Ayahuasca is a psychoactive beverage composed of two plants, Banisteriopsis caapi and Psychotria viridis, the latter of which contains DMT (N,N-dimethyltryptamine), a controlled substance under the 1971 United Nations Convention on Psychotropic Substances (Schedule I) and therefore under most national drug legislations. However, the International Narcotics Control Board (INCB), the quasi-judicial monitoring body for the implementation of the United Nations international drug control conventions, has specifically stated that ayahuasca and similar botanicals that contain psychoactive alkaloids that are included in the 1971 convention are not under international control, unlike coca, opium poppies or cannabis. During the past few decades, ayahuasca use has spread beyond its native Amazonian context; the globalization has facilitated the cultural interchange between indigenous and occidental practices leading to a globalized interest in traditional ceremonial use, therapeutic use and religious use of ayahuasca. Brazilian churches like the Santo Daime or the União do Vegetal, which incorporate the ritual use of ayahuasca in their practices, have settled in an increasing number of countries, along with indigenous healers as well as occidental practitioners offering ayahuasca sessions to a broader interested public. Particularly in the last five years, collectives and individuals involved in these practices have suffered stigmatization and legal prosecution in the US, and many parts of Europe and South America. 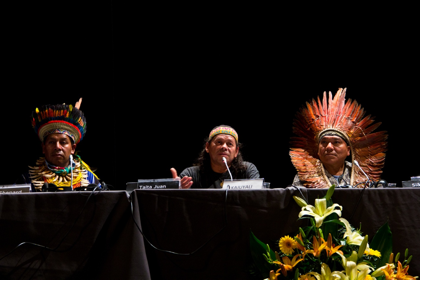 These prosecutions included respected indigenous leaders such as Taita Juan Bautista Agreda (also present at AYA2014) who was arrested in Texas in 2010, and released later on, members of Santo Daime and UDV in the UK, Spain, Netherlands, US, Italy, Belgium and Germany, and Western practitioners working with ayahuasca in therapeutic or spiritual practices, such as the arrest of members of the Argentinean center Emilio, Manto Wasi in Chile, and over 50 cases in Spain, Portugal, UK, Belgium, Switzerland, Netherlands, and Germany. At the end of 2009 ICEERS became involved in the defense of the court case of Manto Wasi Center in Chile and made a request to the INCB on March 2010 to clarify the legal status of plants and preparations containing DMT. On June 2010, the INCB response confirmed that “no plant or decoction containing DMT, including ayahuasca is currently under international control”. However, the Board added that some countries may have decided to apply control measures to the use and trade of ayahuasca, due to the “serious health risks” that the use of this preparation carries. In fact, the experience suggests the interpretation of the 1971 Convention has not been uniform among individual States, which have had the final decision in regulating ayahuasca use within their own territories. The challenge faced by lawyers and policy-makers comes, on the one hand, from the fact that the religious and ritual use of ayahuasca has spread at the global level but resists traditional conceptualizations and categorizations of illegal drug “abuse” that has determined drug policy formulation. Ayahuasca has a long history of use as a medicine, sacrament and ‘plant teacher’, categories that do not fit into contemporary drug policy frames. On the other hand, the presence of ayahuasca religions is forcing some States to balance the respect for these groups against their international commitments within the worldwide “war on drugs”, namely to balance Western perceptions of drug use with the evolving use of ayahuasca. Taita Juan Bautista Agreda, Kajuyali and Sia Kaxinawa. This ambiguous situation has generated considerable confusion surrounding the categorization of ayahuasca and the assessment of the potential risks of its use in the context of what are considered “reasonably safe and socially controlled ritual contexts”. For instance, ayahuasca has been considered an ‘emerging drug’ by the Clinical Committee for the Spanish National Plan on Drugs and categorized as a ‘plant-origin drug of abuse’. The INCB, rather than providing clarity, has contributed to this lack of understanding noting that there exist an apparent “interest in the recreational use of such plant materials” which are “often used outside of their original socio-economic context to exploit substance abusers”. Two years later, the INCB referred to ayahuasca as one of “the most commonly sold new psychoactive substances” through the Internet, apparently encouraged by a lack of clarity concerning the control status of the plants at the national and the international level and exploited by “drug trafficking networks and online retailers, resulting in increased trade, use and abuse of these plant materials in many countries”. However, epidemiological and scientific evidence available on the use of ayahuasca and its consequences do not seem to be in line with INCB statements. In contrast, ICEERS’ Ayahuasca Scientific Literature Compilation and Technical Report on Ayahuasca seem to point in the opposite direction. Moreover, scientific research points towards ayahuasca’s beneficial effects on addiction, cognitive functions and depression. The court case of Manto Wasi in Chile even concluded that ayahuasca had been beneficial for the participants of the sessions and the latest case in Catalonia concluded similarly to ICEERS’ Technical Report that there is no scientific proof of ayahuasca being a harmful substance. Furthermore, in some Latin American countries (Brazil, Peru) ayahuasca religions and traditional practices are recognized as cultural heritage and the United Nations Declaration on the Rights of Indigenous Peoples adopted in 2007 includes the right of indigenous people “to their traditional medicines and to maintain their health practices, including the conservation of their vital medicinal plants, animals and minerals” (Article 24). Therefore, considering the ritual and therapeutic use of ayahuasca to be similar to the problematic use of controlled drugs like opiates, cocaine or methamphetamine, or considering that this psychoactive preparation is inserted in drug trafficking networks and illegal markets, is misinformed, not evidence-based, and contribute to generate confusion around the legality and legitimacy of these practices. The grey zone in which ayahuasca is located nowadays encouraged ICEERS to give the legal and political issues a prominent place within AYA2014. The conference was intended to be a space for joint reflection and discussion, building a bridge between ayahuasca churches legal strategists such as Santo Daime and União do Vegetal, lawyers that have defended ayahuasca cases worldwide and drug policy researchers and activists. In order to support this endeavor, the first meeting of the so-called Ibiza Expert Committee for Regularization of Psychoactive Ethnobotanicals took place within the Conference, intended to be a starting point for a multi-faceted international campaign aimed at rightful, justified, regulated, professionally managed use of psychoactive plants for individual and social benefit. In addition to the need for assistance in the context of legal ambiguity in which ayahuasca unfolds today, ICEERS also is committed to foster a change of scenario. Particularly, its intention is to fight INCB attempts to control traditional plants. In this sense, learning from the experience of other substances such as cannabis and coca for the defense of ayahuasca, within a context of drug policy evaluation and reform is essential. Therefore, perhaps one of the main achievements of AYA2014 has been to “introduce” ayahuasca to drug policy activists and professionals. And vice versa: to introduce to the ayahuasca community the political strategies being developed for other substances in different contexts. Building a solid networking and political strategy for psychoactive plants vis-a-vis UNGASS 2016 could be a good starting point. The fax sent to ICEERS by the INCB in 2010 is available by request at info@iceers.org. Kenneth W. Tupper, “The globalization of ayahuasca: Harm reduction or benefit maximization?”, International Journal of Drug Policy, 19 (2008) 297–303. Beatriz Caiuby Labatea & Kevin Feeney, “Ayahuasca and the process of regulation in Brazil and internationally: Implications and challenges”, International Journal of Drug Policy, 23 (2012), 54– 161. Statement on ayahuasca, International Journal of Drug Policy, 23 (2012) 173-175. INCB Annual Report, 2010, par. 286. INCB Annual Report 2012, par. 329-330. Also available by request at info@iceers.org. Thomas G, Lucas P, Capler NR, Tupper KW, Martin G. 2013. Ayahuasca-assisted therapy for addiction: results from a preliminary observational study in Canada. Curr Drug Abuse Rev. 6 (1):30-42; Bouso, JC y Riba, J. 2014. Ayahuasca and the Treatment of Drug Addiction, in Labate, B y Cavnar, C (eds). The Therapeutic Use of Ayahuasca. Springer. Bouso JC, González D, Fondevila S, Cutchet M, Fernández X, Ribeiro Barbosa PC, Alcázar-Córcoles MÁ, Araújo WS, Barbanoj MJ, Fábregas JM, Riba J. 2012. Personality, psychopathology, life attitudes and neuropsychological performance among ritual users of Ayahuasca: a longitudinal study. PLoS One. ; 7 (8):e42421. Available at http://www.plosone.org/article/info%3Adoi%2F10.1371%2Fjournal.pone.0042421. Osório,F., Sanchez, R., Macedo, L et al. (in press). Antidepressant effects of a single dose of ayahuasca in patients with recurrent depression: a preliminary report. Revista Brasileira de Psiquiatria. This entry was posted in international drug policy on November 10, 2014 by Vicky Lewis. Yes, legalizing marijuana breaks treaties. We can deal with that.